#1951club – revisiting some previous reads? Normally, during one of our reading weeks, I can go back over books I’ve previously read from the year in question and point you to older reviews. However, strangely enough, there seems very little on the Ramblings from 1951 and a limited number of books I can direct you to! 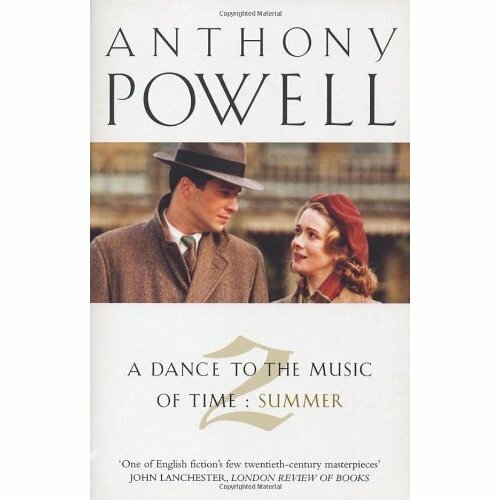 One of the major works I’ve covered from 1951 is the first book in the sequence by Anthony Powell now known as “A Dance to the Music of Time” – “A Question of Upbringing”. Back in 2013 I read through the whole series of 12 books a month at a time, and a very rewarding experience it was too. If you ever have the time to undertake this I’d recommend it! Another major book from the year is “The End of the Affair” by Graham Greene but I hesitate to send you to my review as it was one of the first I did on the Ramblings and it’s hardly in depth. I loved some parts of the book but struggled with the endless guilt and agonising – though my Middle Child tells me that’s the whole point! I don’t imagine I’ll get to a re-read this week, but maybe another time I should give it another chance. And I began the Ramblings midway through a year of reading Elizabeth Taylor’s novels along with members of the LibraryThing Virago Modern Classics group; and had read “A Game of Hide and Seek” before I started blogging. It ended up being one of my favourite Taylor books and I can highly recommend it too! Yes, the end is in sight as I finally edge towards the completion of my year-long read of the “Dance to the Music of Time” sequence. 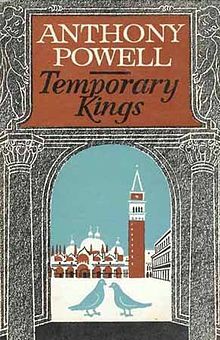 I’m still slightly behind but determined to finish the last two books before the end of December, and I’ve just finished the penultimate book, “Temporary Kings” – a very intriguing volume indeed! The action has flashed forward to the late 1950s and in typical Powellesque style we are thrown into a new situation with new characters – namely a literary conference in Venice which Nick is attending, and spending time with Dr Emily Brightman. However, it is not long before the tentacles of the past start to insinuate themselves into the narrative of the present and we learn much about the death of X. Trapnel and the end of the days of “Fission”. Brightman introduces Nick to one of her fellow Americans, a strange young man called Russell Gwinnett, who wants to write a biography of Trapnel and is happy to meet someone who knew him and can perhaps introduce him to other Trappy contacts – particularly, of course, the infamous Pamela Widmerpool. Yes, it doesn’t take long for the terrible twosome to rear their heads! Pamela has been linked to the death of a famous French author, Ferrand-Sénéschal, and in fairly dubious-sounding circumstances. And while the conference visits a local palace, the dreaded Lady Widmerpool turns up, in the company of an American film director, Louis Glober, known to Nick from a party many, many years ago. Kenneth soon turns up and the couple are rowing again! The action continues in Venice, with Nick visiting an old colleague Tokenhouse, who has moved from publishing to painting. Also in Venice is Ada Leintwardine and initially Glober has designs on her, but soon turns his attentions to Pamela. Mysteriously, Widmerpool turns up at Tokenhouse’s, looking for a Dr. Belkin, who many people seem to be trying to track down. Our Kenneth is behaving even more strangely than usual, though that could be as a result of being married to Pamela! There are certainly complications brewing, with Gwinnett initially pursuing Pamela, and then the roles reversing; Glober also pursuing her; and the presence in Venice of one of her old lovers, Odo Stevens who is now married to Rosie Manasch. The action shifts back to England, and the past is still informing the present. “Books” Bagshaw is now living in domestic ‘bliss’ in a very dysfunctional sounding household, which gets even more so when Gwinnett lodges with them for a while and Pamela is spotted naked there one night. Nick attends an army reunion and runs into old colleagues – he finds out more about Stringham’s death, and there is much discussion of the Widmerpool affair – it isn’t enough that Pamela has created a scandal by being present at Ferrand-Sénéschal’s death, but now Widmerpool is accused of spying and there are rumours of his arrest. What a couple! TK was certainly some read! 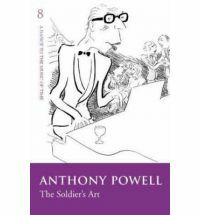 It’s packed with characters and events, and in some ways I felt that Powell’s style had reverted a little – from becoming clearer and a bit more transparent, he’s moved back into a denser and more elliptical way of telling his tale. Some things I’m still unsure about and some things I had to go back and read over again. However, on to specifics! Firstly, what a wonderful array of characters, old and new. Gwinnett is fascinating – apparently descended from one of American’s founding fathers, awkward and difficult to deal with, yet obviously driven by deep emotions – I wonder whether he will reappear in the final book or if this is all we will see of him? Dr. Brightman and Glober are also great fun, and it was lovely to see so many old favourites turning up – Audrey, Matilda, Moreland and especially the wonderful Mrs. Erdleigh. 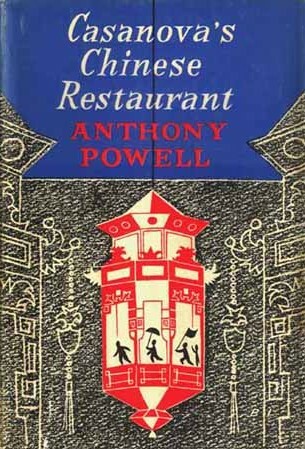 And how clever of Powell to do this – the past interspersing with the present and so many characters dancing back in to the story, which perhaps is a way of reflecting what happens as you age and the various elements of your life start to bleed into each other and connections not noticed before become clear. TK is full of fascinating developments and there are several unanswered questions in the book: *who* is the mysterious and Godot-like Dr. Belkin, whom everybody is waiting for but no-one (including ourselves) ever meets? What exactly has Widmerpool been up to? *What* on earth motivates Pamela – is it just a lot of unspecified deviance? I suppose this reflects the fact that life is full of things that are never resolved. And here is a SPOILER ALERT – any discussion of Pamela inevitably leads on to her demise in the last chapter, which I shall have to try to read again to see what it is I missed! Pamela overdoses in circumstances that are hinted at so obscurely as to be almost indistinct. I *think* she may have died in bed with Gwinnett, but the motivation is clouded. If I had a criticism to make, it would be that I ended this book (and the sequence of books which featured her) not really understanding her character. The others in the book develop throughout, we get to grips with their peculiarities and idiosyncracies, and end up with a real sense of their personalities. But Pamela is a mystery, and remains so to the end. 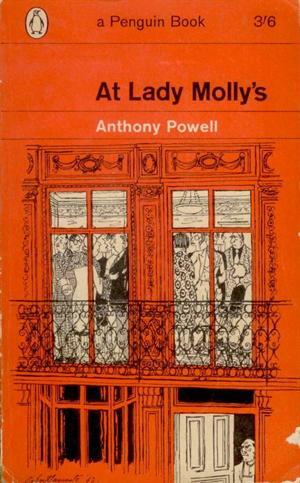 There is much hinting and discussion of perversity and voyeurism – a running theme through the book, from the ceiling in the palace to Magnus Donner’s old tendencies and possibly Widmerpool’s current ones – but not enough depth or motivation for my liking. I *wanted* to understand Pamela, to know what made her such an angry, bitter and damaged person, but I never felt I learned this. Powell is a writer of some subtlety, which means his work can sometimes be difficult and that he requires close reading, but I feel here that he is too oblique. If this sounds a little negative, it shouldn’t – I was gripped by Powell’s narrative again, and the chapter where he gradually unfolds the post-party fall-out with its attendant revelations was masterly, like watching a train wreck about to happen which you couldn’t stop. I loved the clever way he intertwined past and present, reflecting the way real life is. 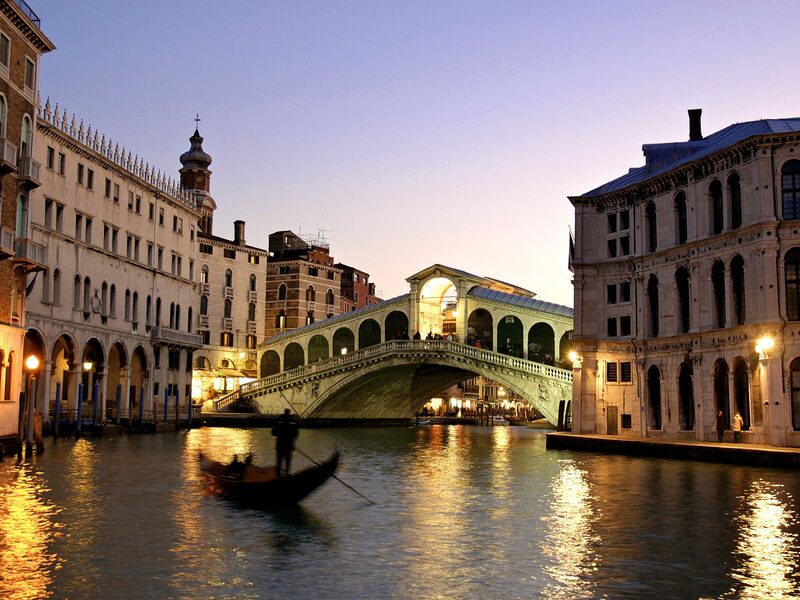 And the Venice sequences where great fun – I know some people on the LT read-along weren’t so keen on Nick being away from England, but I thought it was a hoot the way that Nick couldn’t get away from his past or his acquaintances even when he was abroad! This was a great read, full of marvellous events and set pieces, and I can’t wait for the final volume! 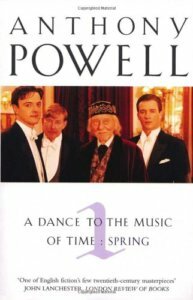 This is the third volumes in my monthly read of AP’s “Dance to the Music of Time” sequence (see earlier reviews here and here) and with this book I feel that I’ve really hit my stride with Powell! The title refers to a type of financial trading, but Powell applies the phrase to life – more of which later. The book’s opening chapter has Nick Jenkins visiting the elusive Uncle Giles for dinner at his slightly seedy hotel. Uncle Giles seems rather friendly with a fellow guest Mrs. Erdleigh, who is something of a fortune-teller. Our next setting is the Ritz, where Nick is due to meet Mark Members but instead bumps into his old crony Peter Templer and ends up dining with him and his wife Mona, and also his old love Jean Templer (now Duport). Members does not show, but instead sents another old acquaintance, Quiggin – he and Members have been rivals for the position as secretary to St. John Clarke, a somewhat out of fashion novelist. Nick is invited back to the Templers’ house for the weekend, where he rather suddenly begins an affair with Jean, which continues throughout the rest of the book. Also invited to the house party are Quiggin, Mrs. Erdleigh and Jimmy Stripling, yet another old acquaintance. A rather surreal seance is held using a device called a planchette but the weekend disintegrates with the news that Clarke is ill and the rapid departure of Quiggin for London. Events move on and the next set piece has Nick coming across a workers’ demonstration in which the unlikely figure of Clarke is taking part, pushed along in a wheelchair by Quiggin and Mona Templer. The affair with Jean continues and they come across the wonderfully named Umfraville, who Nick has heard of in the past and whose presence will also impact on the complex relationships of his circle. The book ends with Jenkins, along with Templer, Stringham and Widmerpool, attendaning an Old Boys dinner at the Ritz hosted by their old housemaster Le Bas. Needless to say, all does not go well – Stringham is late and drunk, Nick picks up more gossip about his circle and Widmerpool makes a dreadful, unexpected speech which is only halted when Le Bas collapses with a stroke. Stringham is so wasted that Nick and Widmerpool (I can’t bring myself to call him Kenneth!) have to take him home in a taxi and put him to bed. The book ends with Nick visiting Jean, although whether their affair will continue is not clear, as her husband is returning from abroad, perhaps a slightly reformed character? 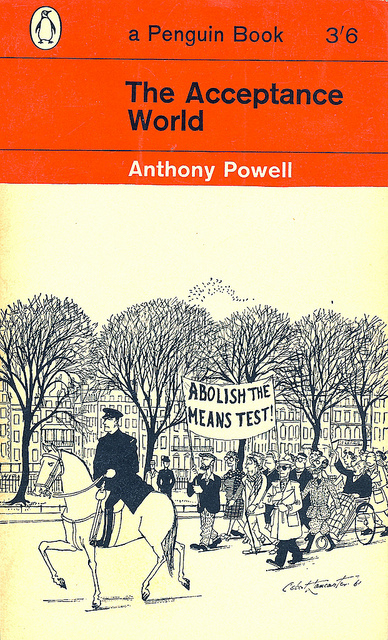 This simplistic summary does not of course do justice to the richness and complexity of the narrative and the apparent ease with which Powell weaves all the strands of Jenkins’ life together. The prose is again beautiful and you can’t help but admire his deftness of touch as he handles the various elements of his plot. 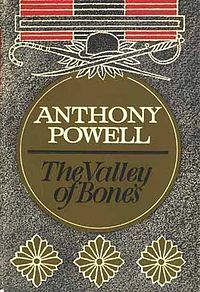 There are old characters and new, some making fleeting appearances or just being mentioned, and some taking a larger part in affairs, and Powell’s hand never falters as he manages them all expertly, controlling the dance. 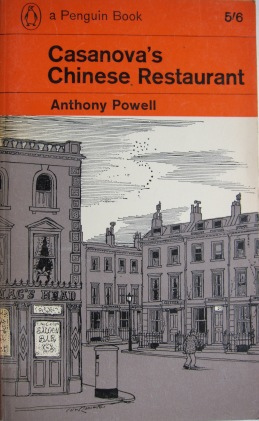 “Pausing, with a slight gesture of exhaustion that seemed to imply arduous travel over many miles of arid desert or snow waste (according to whether the climate within or without the hotel was accepted as prevailing), he looked around the room; gazing as if in amazement at the fountain, the nymph, the palms in their pots of Chinese design: then turning his eyes to the chandeliers and the glass of the roof. His bearing was at once furtive, resentful, sagacious, and full of a kind of confidence in his own powers. He seemed to be surveying the tables as if searching for someone, at the same unable to believe his eyes, while he did so, at the luxuriance of the oasis in which he found himself. He carried no hat, but retained the belted leather overcoat upon which a few drops of moisture could be seen glistening as he advanced farther into the room, an indication that snow or sleet had begun to fall outside. This black leather garment gave a somewhat official air to his appearance, obscurely suggesting a Wellsian man of the future, heirarchic in rank. Signs of damp could also be seen in patches on his sparse fair hair, a thatch failing to roof in completely the dry, yellowish skin of his scalp. “The Acceptance World” is definitely the book where this series starts to really shine for me. Much as I loved the first two books, I struggled in places with the density of the prose and the obliqueness of what Nick was telling us. 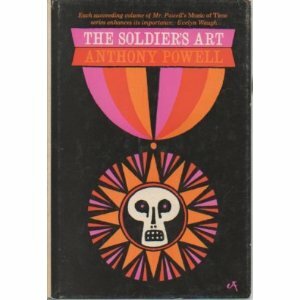 Powell seems to have gained a little clarity in this book – the writing is still gorgeous and I hope some of the quotes I’ve pulled out will illustrate this – but without sacrificing anything in the quality of what he’s written, Powell somehow manages to make things more transparent, easier to grasp. Things gelled for me while reading TAW in a way they hadn’t quite done so in the first two novels. Maybe this is because of the slightly harder edge of the world Powell is writing about, with the intrusion of politics and the societal changes around him. There is still humour – Widmerpool is always good for a laugh, let’s face it – and Nick still has a wry, dry way of expressing himself – but it feels more like we are being narrated to by a real person in TAW and less of a cipher. Although their affair appears to continue over a period we only see glimpses of it, and indeed of Jean’s life. There are absences from the story – Jean’s daughter barely gets a mention which is perhaps indicative of a world where children were palmed off on nannies and governesses, or simply because she is not allowed into Nick’s sphere at all. There is the sense that Jean gives herself to Nick in compartments and keeps most of her life separate from him; and with the imminent return of her husband, the reader is left wondering if there is a future for them. I ended this book eager to simply jump into the next one and carry on living these characters’ lives with them, but I’m going to pace myself. Powell’s books are too good to be rushed and I feel you need to give yourself time for your impressions to keep forming and for the book to settle in your brain. Fiction of this quality is, alas, sadly lacking in modern times and I’m very glad I’ve embarked on my monthly read of this great work.